Another hand made Diamond Free Form Engagement Ring. 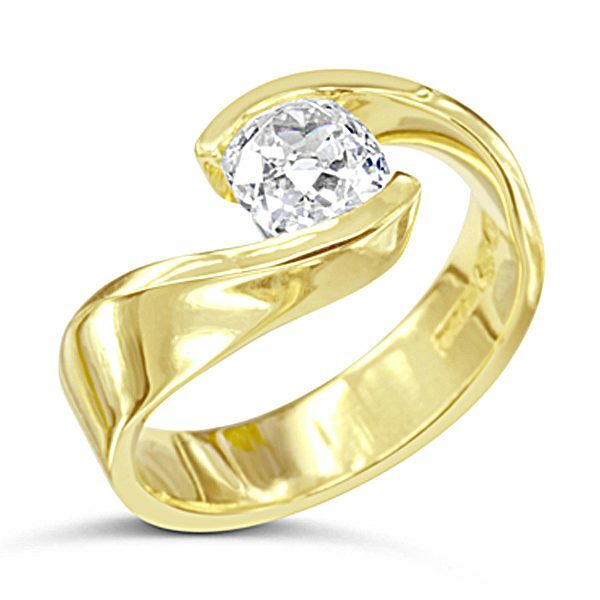 This 18ct yellow gold ring features a clients own 1ct old cut diamond with an oval shape. 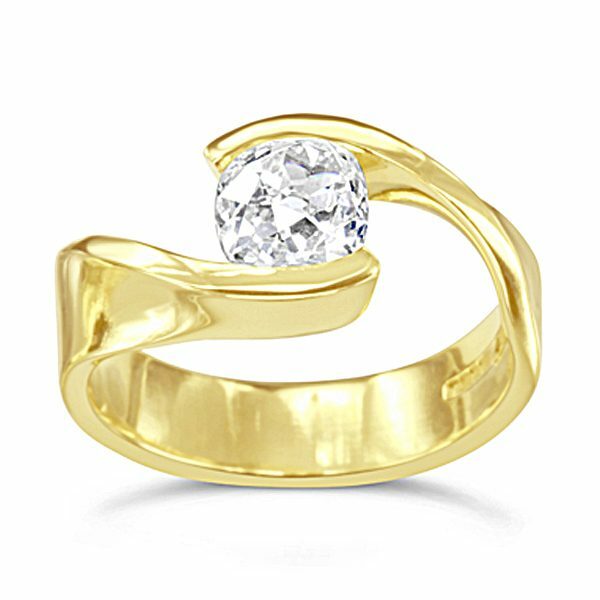 Cut from a traditional setting this contemporary modern ring design has given the diamond a new future. 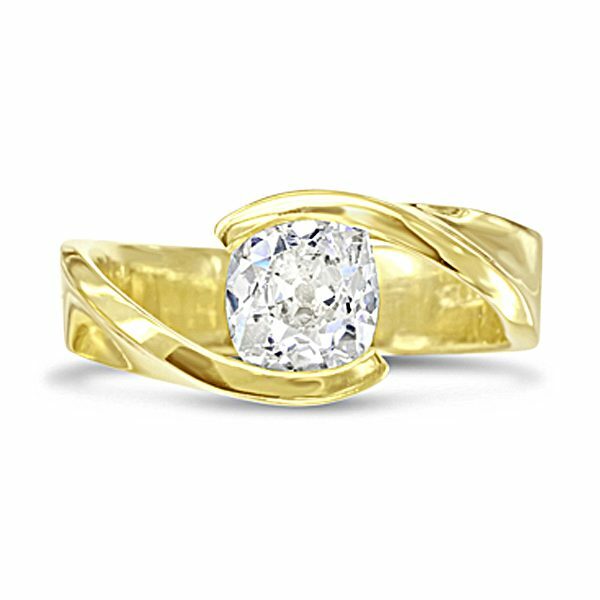 This ring comes with a matching made to fit wedding band and diamond set fitted eternity ring. We can also source new brilliant cut and recycled antique old cut diamonds for you. A damaged larger diamond can be re-cut and re-used with stunning results. It’s great for the environment too!